This article was published in February 1996 in Al Ahram Weekly newspaper. 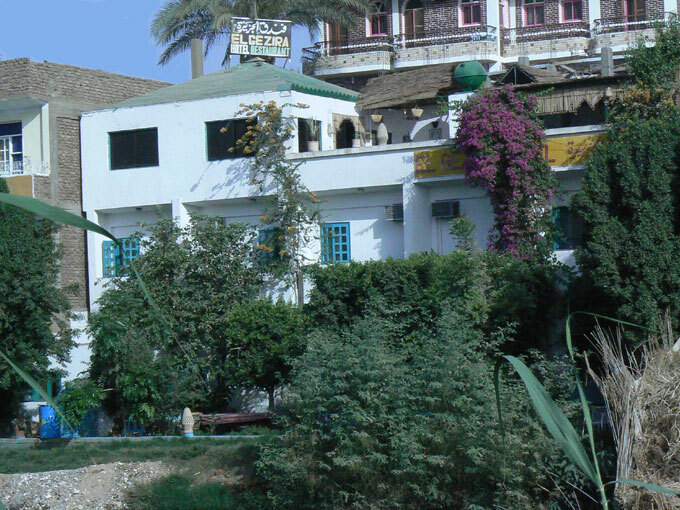 I was in Luxor, in Upper Egypt, when I met with the owner of the oldest bookstore in Luxor, Abdallah Gaddis, who died two years after this interview. 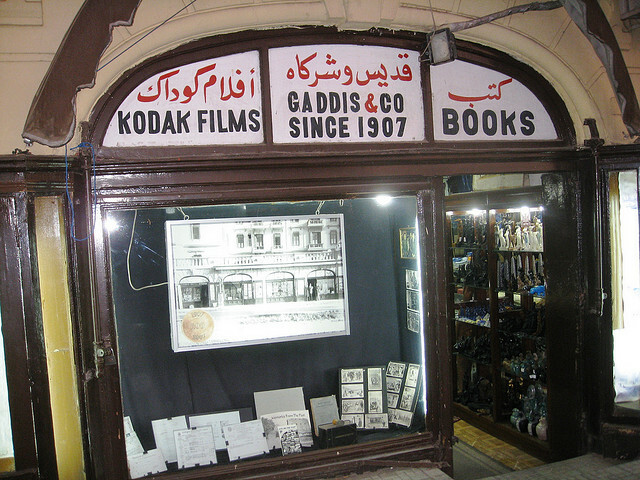 Gaddis has withstood the fluctuating tides of tourism from World War II to the post-Gulf War era and I decided to flip, with him, through the pages of history. 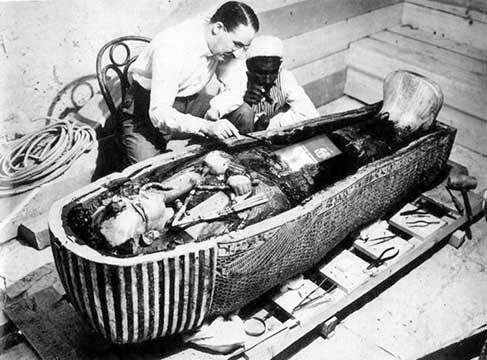 Abdallah Gaddis was barely one year old when Howard Carter discovered the treasures of Tutankhamun in 1921 but he can relay his father’s impression of the spectacular flux of tourists Luxor witnessed at the time. “It was the most successful year ever. Hundreds of the aristocrats and the members of the press flocked here to witness and cover the discovery,” says Gaddis, who runs the shop his father opened in 1907. His father once sold silver and gold ware, learning trade secrets from his friends in Cairo’s Khan Al-Khalili. 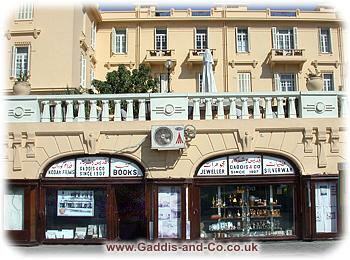 He then turned the shops into one bookshop, specializing in books and photographs about Egypt, and particularly monuments. 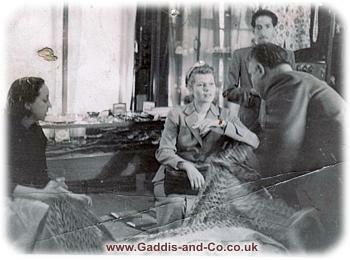 “My father was a pioneer in a field hitherto monopolized by Greeks and Jews, says Gaddis. 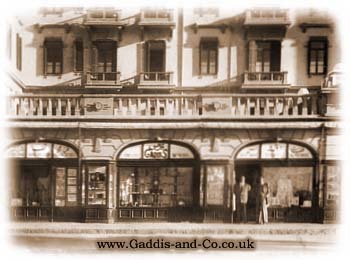 When Gaddis took over the bookshop in the later 1930s, he would often keep it open past midnight, long after the crowds of tourists had retreated to their hotels. “My clients could then quietly select their books and decide which photographs appealed to them. “ Not only was his bookstore frequented by the wealthy, but the wealthy were willing to spend heavily on his books, making LE1,000 or LE2,000 purchases, “a fortune in those days,” says Gaddis. He recalls that the Winter Palace Hotel would have the guides work in rotation. 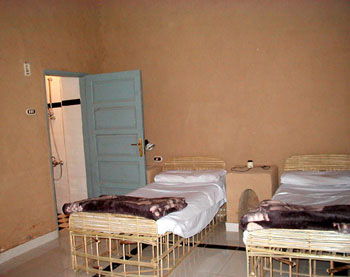 If a group of 50 tourists arrived, for example, four were allocated one tour guide at LE2 a day. 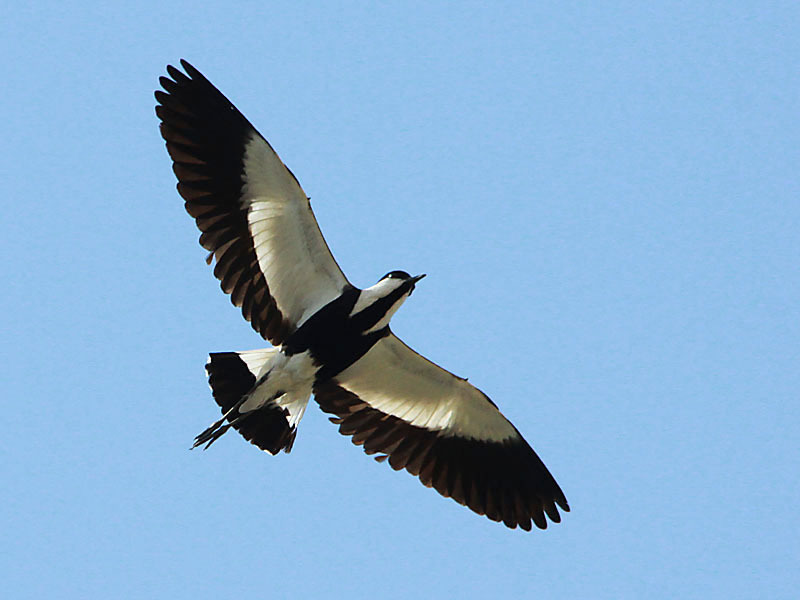 “At the end of the trip the visitors usually give an envelope to the guide containing LE100 in appreciation of his efforts. That was a good income then. “But conditions for the torgomen changed in the 1960s when they became too old to work. 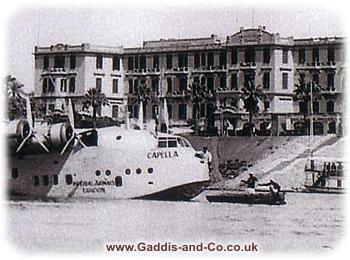 This changed after President Gamal Abdel Nasser made a visit to Luxor in November of 1952. “He met with local businessmen,” Gaddis said, “and we told him that we wanted the hotels to stay open all year round. When Nasser asked us if we could guarantee tourists throughout the year, we suggested carrying out of a two-year experiment. 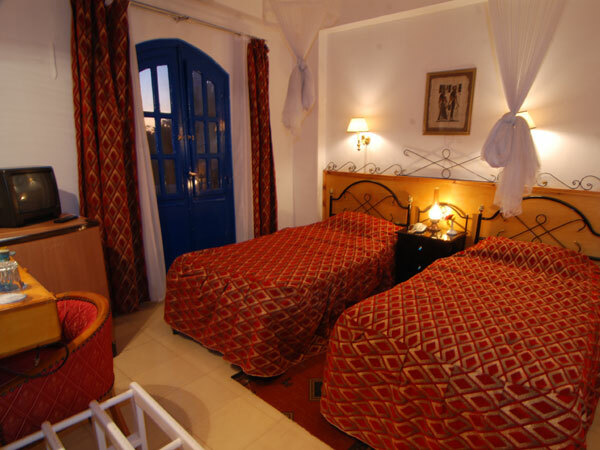 It proved so successful that all the hotels opened in the summer and the winter. At that time as well, he says, Egyptians began to visit Luxor. 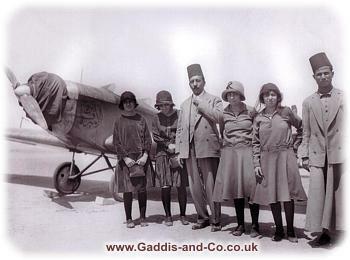 “They would leave Cairo and Alexandria in the winter and spend at least two months at the Winter Palace.” While tourists from abroad only trickled to Luxor in the war years, it was only four years after the war that Germans, British and Americans came in large numbers. “The situation improved,” says Gaddis. 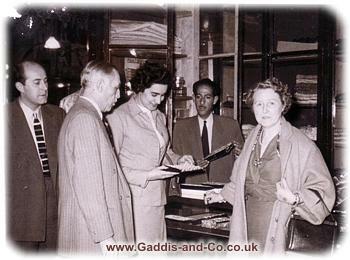 “Tourism was at a peak at the time of the July 1952 Revolution. But then there was the June 1967. “On the day the war broke out, there was not a single empty room. We had three bad months before tourism revived,” says Gaddis whose shop was exempted from rent for one year by the government. 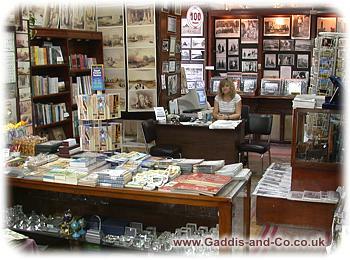 Today, books about Egypt in English, French, German and Arabic fill the shelves of the bookshop and potential buyers have a large choice of publications, from the famous Blue Guide and Insight Guides to specialized books, souvenir publications and coffee-table editions. Never before have the shelves of Gaddis been so heavily stocked. 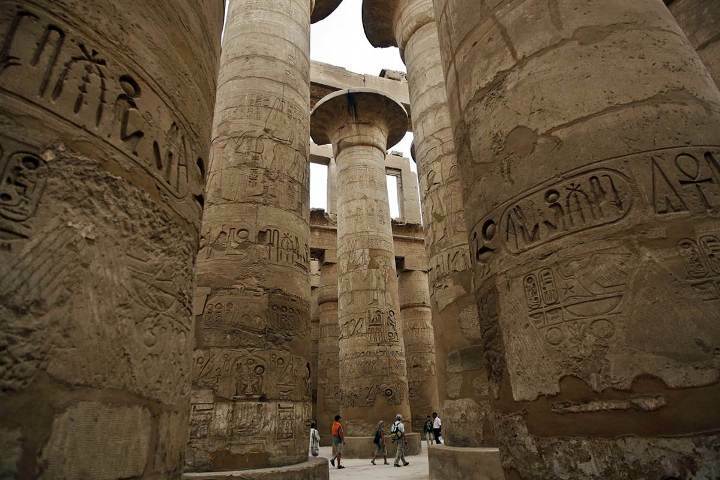 Italian archaeologists have unearthed tombs in the southern Egyptian city of Luxor that are more than 3,000 years old. Egypt’s antiquities ministry says the tombs were found under the mortuary temple of the Pharoah Amenhotep II, who reigned from 1427 BC to 1401 BC. 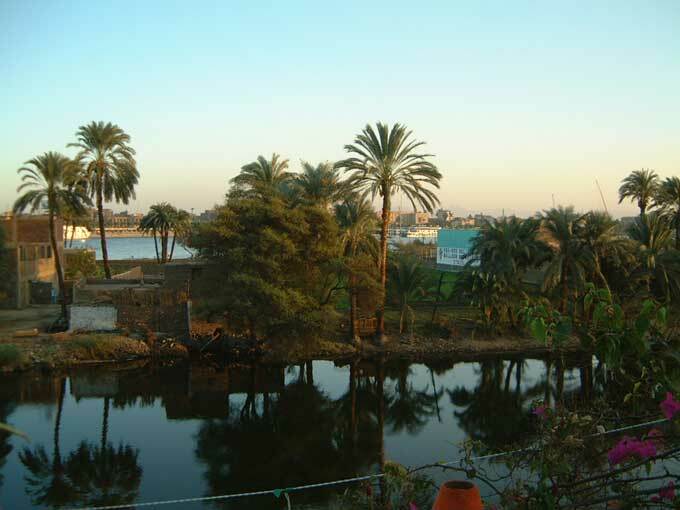 The temple is located on the western bank of the River Nile. 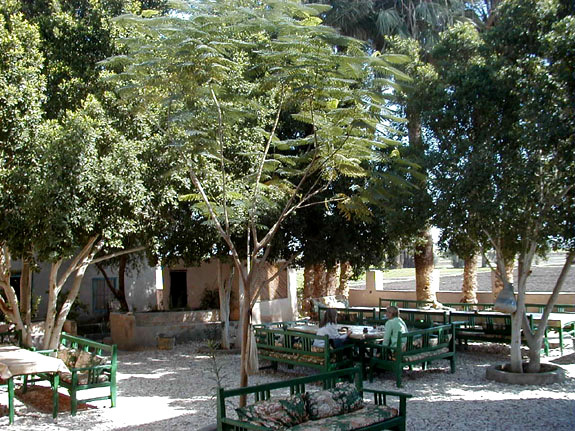 The ministry said remains of wooden sarcophaguses and human bones were found inside the tombs. Jars used to preserve the liver, lungs, stomach and intestines of the deceased were also found, decorated with images of the four sons of the god Horus. The figures – which have the heads of a human, a baboon, a jackal and a falcon – were believed to help the soul find its way to heaven. Wafaa Elsaddik, a professor of Egyptology, told the BBC the find was significant because it showed that temples were not just used for worship, but for burial as well. She said the jars were of very good quality which suggested that the tombs had belonged to wealthy people. 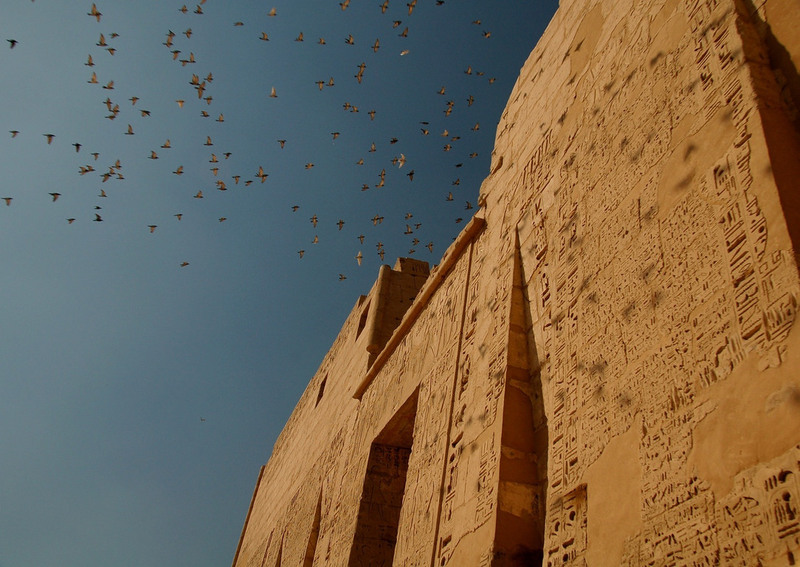 Since the ancient Greeks made their first journey to Thebes, Luxor has always been an unforgettable experience. My last trip to Luxor was in October 1997, when I attended the final performance of Verdi’s opera Aida at Hatshepsut’s Temple in Deir Al-Bahari — the year before it was moved to the Giza Plateau. Much has changed since then. 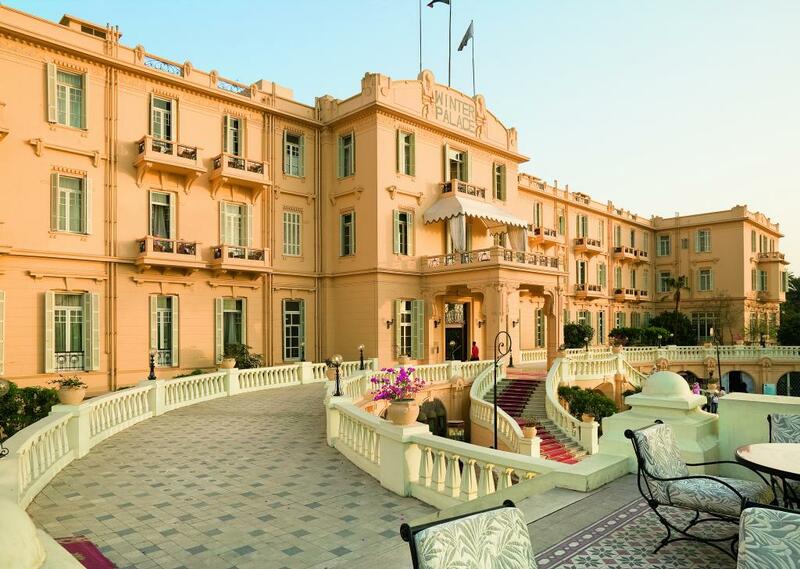 Streets have become wider, the Corniche has acquired a new, reformed façade, and an assortment of five-star hotels have sprouted throughout the city. 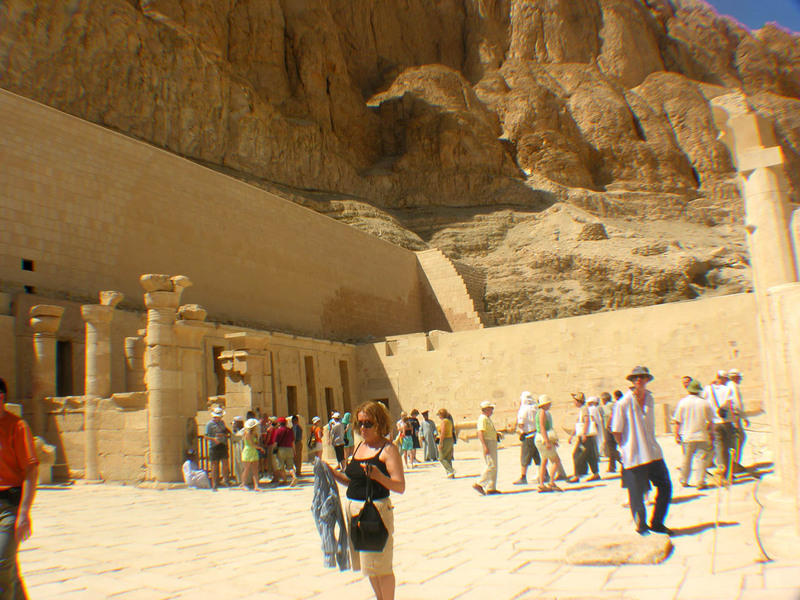 The visit, for me, begins in the sky — my heart literally pounding as the plane approaches Luxor International Airport. I spot Homer’s hundred-gated Thebes, its gigantic temples appearing like matchboxes from the air, surrounded by a blanket of yellow and green stripes — the collage of the desert and its neighbouring agricultural land. Nearby, a sliver of blue marks the Nile, dividing the city into its two characteristic entities. The east bank houses the city and its main state temples, and the west holds the mortuary temples and tombs. I have been to the ancient city over 20 times. This time, I opted for something special, treating myself to one of Luxor’s most exclusive resorts, the Maritim Jolie Ville Luxor Island Resort on Crocodile Island. 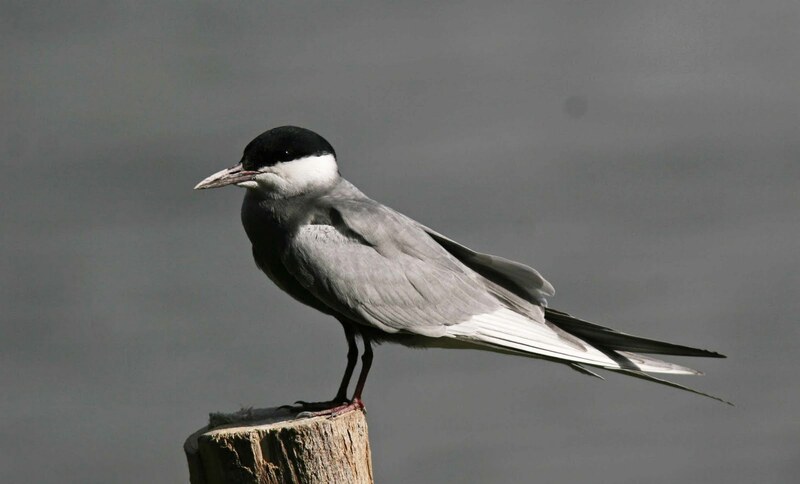 The island earned its name many years ago, when it became the favoured domicile for the river’s reptilian giants before the building of the Aswan High Dam hemmed them in to the new Lake Nasser. The trip from the airport takes 45 minutes. 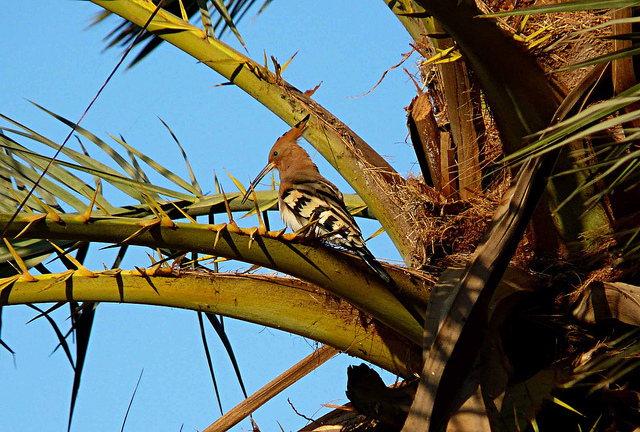 We check in and are guided to our rooms — an excursion in itself, allowing us to take in an array of Southern Egypt’s rich flora and fauna. We pass through the resort’s tropical garden and dozens of surrounding bungalows. The low-lying buildings and unobtrusive landscaping allowed me to do some amateur bird- watching, first on the walk and later from my room. I spot a panoply of colourful species flying from one tree to another. 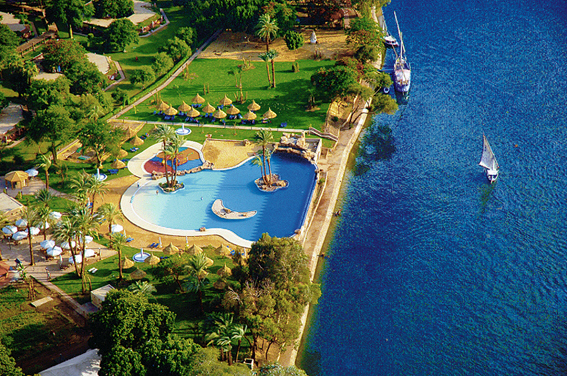 The resort is in fact known as one of Egypt’s best bird- watching locations. The only obstruction to the skies are palm trees which shed dates with abandon. The surrounding tropical garden hosts over 100 species of plants — ornamental, tropical and aquatic, both Egyptian and from around the world. After settling into our rooms and eating a lavish breakfast, we waited for Ibrahim, driver for the Supreme Council of Luxor, who arrived at noon to take us to the temples of Luxor and Karnak. THE TEMPLE OF AMUN: Our first stop was the Karnak Temples — a spectacular complex of sanctuaries, kiosks, pylons and obelisks, all dedicated to the Theban gods. Everything at Karnak is on a gigantic scale. The site measures 1.5 kilometres by 800 metres and the first pylon is advertised as double the size of the one at Luxor Temple. Built, renovated, dismantled, restored, enlarged and decorated over a period of nearly 1,500 years, Karnak was the most important place of worship in all Egypt during the height of Theban power. It was known as Ipet-Isut, meaning “the most perfect of places”. At the centre of this remarkable space is the vast Amun Temple enclosure (sometimes referred to as the Precinct of Amun), complete with a large sacred lake. This was the main place of worship of the Theban triad of Amun, Mut and Khons, and is the site of the famous Hypostyle Hall, a spectacular forest of giant papyrus-shaped columns. “It is a place that has been much written about and often painted; but of which no writing and no art can convey more than a dwarfed and pallid impression … the scale is too vast; the effect too tremendous; the sense of one’s own dumbness, and littleness, and incapability, too complete and crushing,” wrote Amelia Edwards, a 19th-century writer and artist who journeyed the Nile and visited the temples. As I conjure Edward’s words in my head, and envisioned her writing amidst the ancient structures, I heard an echo from one of the shaded corners of the temple. The voice is that of Amm Sayed, one of the temple’s seasoned guards, narrating the history of the site and deciphering its walls in return for a touch of baqsheesh (tips). Karnak is crawling with travellers. They gaze up at the structures, snapping away with their cameras, or stroll mindlessly through the columns. Amidst the individual gatherings of Italians, Spaniards, Germans and Japanese, the voice of a guide would filter out — each one trying to project his voice louder than the next. It appears, to the outsider, to be an especially good season for tourism. But suddenly, with seemingly no forewarning, the crowds vanish and the temple sits nearly empty. I later learn that many divers take the day off from their Hurghada schedule to visit Luxor for a day, arriving at 11am and leaving by 6pm. 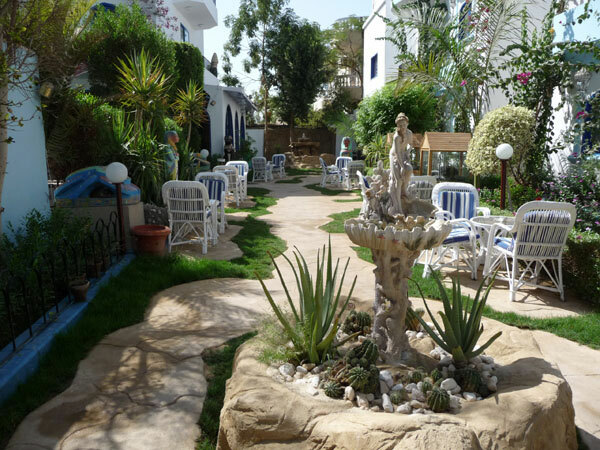 We departed the site at 2pm and decided to return to the serenity of our island where we dine in the cool interior and walk through the gardens listening to the hotel’s soothing background music as the sun seemingly sinks into the Nile. 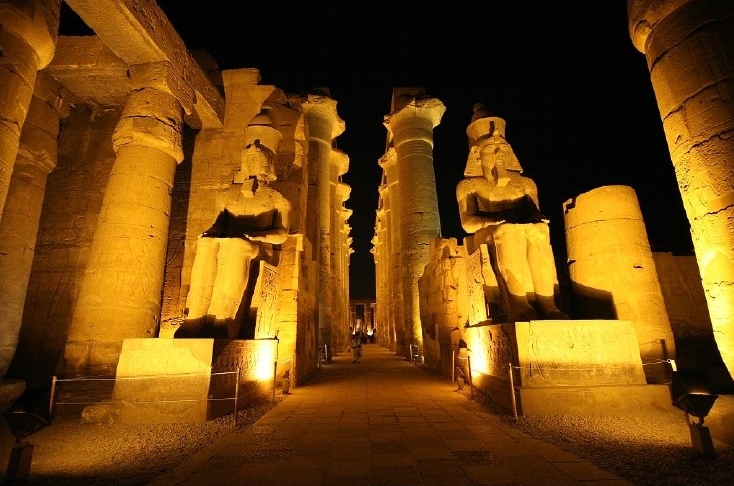 THE TEMPLE OF ALL ERAS: There is nothing more spectacular than Luxor Temple at night. The architecture lit with pastel lights bounces off the carved relief to form a show of shadows on the temple walls, pillars and floor.Entrance to the temple is from the Corniche gate. No buses are allowed beyond this point. The temple life span is of a mind-boggling length. First built by Amenhotep III in 1500 BC, it was enlarged by Ramsis II in 1300 BC, and partly restored by Alexander the Great in 332 BC. One part of it was reused as a church by fifth-century AD Christians. The northeast side is composed of the still-used 13th century Mosque of Abul-Haggag. The temple sits on the site of an older sanctuary built by Hatshepsut and dedicated to the Theban triad of Amun, Mut and Khons. 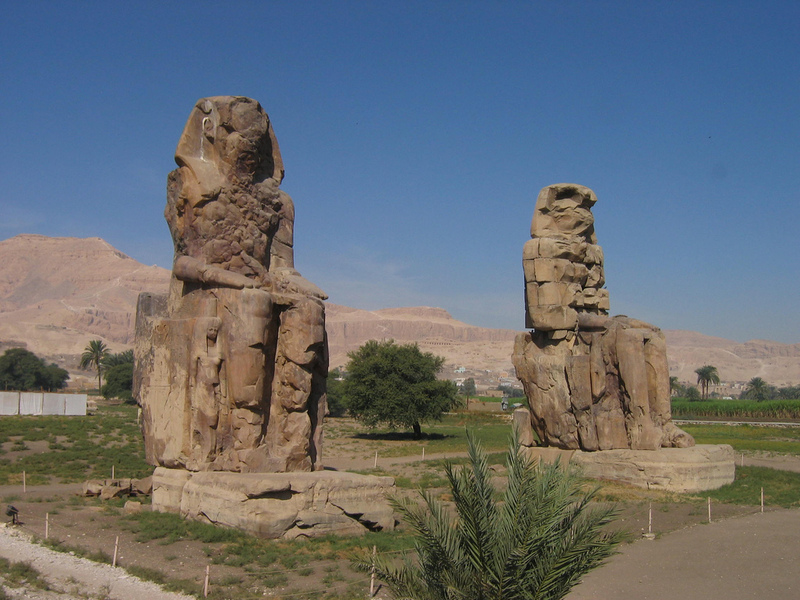 Amenhotep greatly enlarged Hatshepsut’s shrine and rededicated the massive temple as Amun’s southern Ipet or sanctuary — the private quarters of the god. That night there are a handful of tourists in the temple; the serenity of the surroundings broken only by their light chatter and the hypnotic preaching of a sheikh at the Mosque of Abul-Haggag. Within the mosque, inviting entrance with external green lamps and tea-light decorations, crowds of people gather, some of the children peering from the mashrabiya windows and waving to passers-by. “These decorations are for the moulid (religious festival) of Abul-Haggag and tomorrow is al-leila al-kebira,” explains Seifeddin Gado, a 50-year-old guard of the Luxor Temple. “It is always held in mid-Sha’ban (the Islamic calendar month preceding the holy month of Ramadan), and thousands of people from Luxor and neighbouring villages celebrate the event. People usually open their houses to guests to eat rice, vegetables and kebab.” The kebab Gado spoke of, I later discover, is not the usual kebab found in Cairene eateries, but rather, a golf ball-sized concoction of minced meat and wheat (similar to Cairo’s kofta). 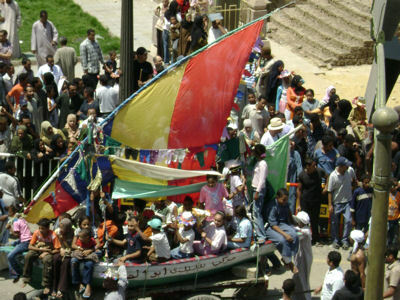 The moulid is held in honour of Youssef Abul-Haggag, Luxor’s patron saint, a 13th-century Iraqi who settled in Luxor. 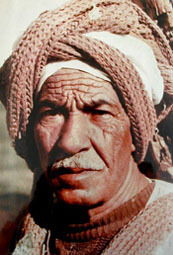 Many of his descendants still live in the area. 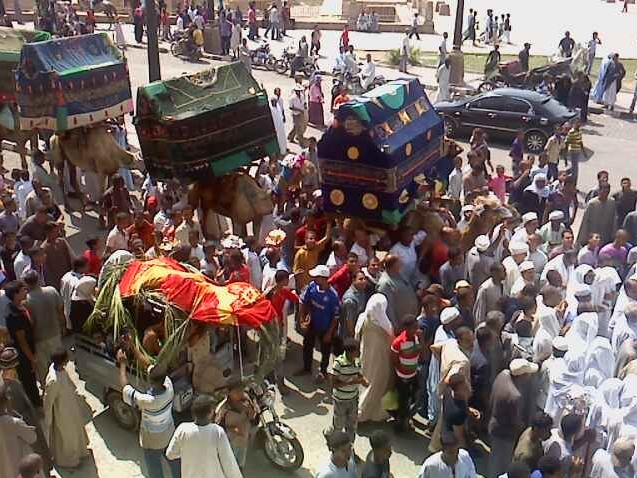 This is not the only moulid in Luxor, but it is by far the largest. There are the moulids of Sheikh Ali Moussa and Abul-Goud on the east bank, and Sheikh Ahmed El-Adasi, and Abul-Gomsan in Gurna on the west bank. Most of these moulids take place during Ragab and Sha’ban, the two months preceding Ramadan. AN INDIAN NIGHT: We leave Luxor Temple at 8pm, considering, momentarily, dining at a local Luxor restaurant, which had treated me to tasty fare in the past. Instead, however, we pampered ourselves once again, opting for the cuisine of one of the city’s five-star hotels. The plan was to go to the Italian La Mama at the Sheraton Luxor Resort — a personal all-time favourite. But we decided to try something new. We ended up at the hotel’s Indian restaurant, Agra. 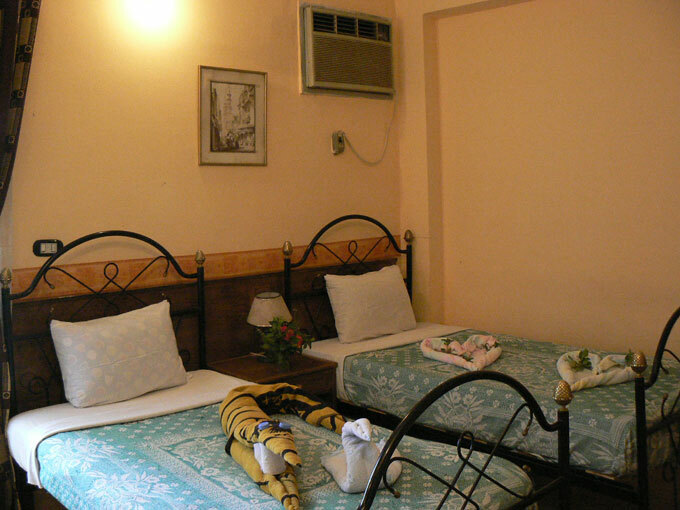 Agra is welcoming, a cozy atmosphere complimented by Indian architecture and motifs. 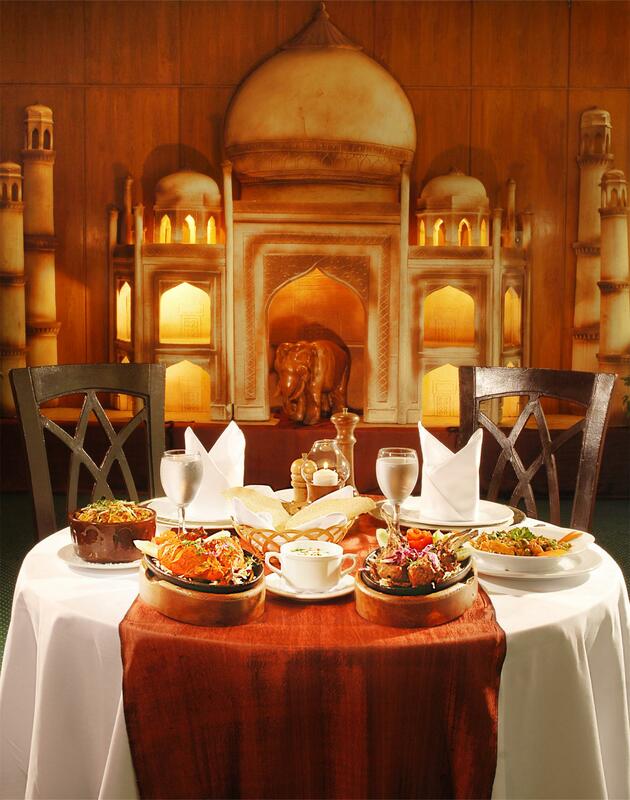 Sitting at a table facing a miniature replica of the Taj Mahal, we survey the portraits of elephants, Indian dancers and temples covering the walls. Indian music plays in the background, and the aroma of Indian spices fills the air. Given my ignorance of Indian specialties, I asked the waiter to choose for me. Tandoori, I learn that night, is not a kind of food, but rather a method of cooking. All tandoori items are baked in a clay oven and then served in a cast iron plate with mint sauce. It is decided that the photographer and I will have the tandoori bahaar, a dish of mixed grills cooked “à la Tandoori”. Our “mild” appetisers came first, accompanied by two kinds of bread; mint paratha, a baladi- like bread made of whole wheat flour with fresh mint, and tandoori roti, a crispy dry whole wheat bread. We dip the mint paratha in dal makhani (a dish of black lentils simmered with tomato and cream sauce). It overflows with flavour. The palak mushroom, a spinach and mushroom dish, is a bit too spicy for my tongue, but nonetheless tasty. The roti crispy bread smells tantalising. It tastes equally good — except for one small problem for those with taste buds like mine. When you first bite in it comes across as tasty and mild, but once you down the first mouthful the intense spice begins to burn! The pickled mango evokes a similar response, tasting somewhat like apricot with more than a dash of salt blended in. Our main course is also up to expectations, with mouth-watering grilled meat, shrimp, chicken and kofta. The photographer delighted in the cuisine as did I, except for my inability to deal with the Indian definition of “mild”! Having long bid our driver goodnight, we depart to the hotel on foot. We had been assured by him that the walk from the Sheraton to our hotel was just one kilometre. The first portion of our walk took us to Khaled Ibn Al-Walid Street, after which a right turn takes us to the road leading home, a two-way green-lined street. We walk and walk and walk. A good 15 minutes later lights appear ahead.”This must be the hotel,” the photographer says, relieved. We should be so lucky. The walk went on, at least an hour passing since our departure from the Sheraton. When we finally arrive home, we are pleasantly informed that our wanderings had been in the four kilometre range.”I think Ibrahim had to tell us that because he was tired and wanted to go home,” the photographer laughs. 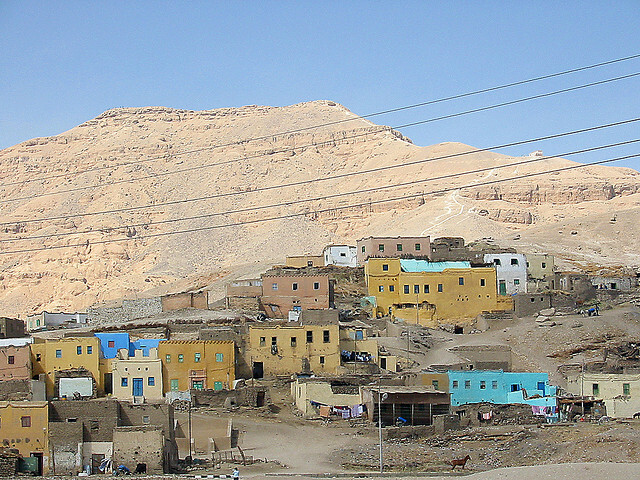 THE WEST BANK: The following morning is our designated west bank day — starting with the Valley of the Kings and then moving on to Hatshepsut’s Temple in Deir Al-Bahari. On our way back we stop at an alabaster factory called Hatshepsut, where we observed local workers mould replicas of Pharaonic statues out of rock quarried from the mountains of the valley. The people of Gurna are known to be the only ones in Egypt to have mastered this kind of art — a talent passed down from their ancestors. There are many alabaster shops, displays and workshops in the area. Watch out for machine-made items that are less expensive but of lesser quality. SUNSET FELUCCA: A late (5pm) lunch by the Nile is followed by a felucca to nearby Birds Island. The weather is unfortunately and unseasonably hot. Without much of a breeze, rayyes (captain) Mukhtar has to row most of the journey. Half an hour later, though, the wind died completely, and every sailor on the Nile got to work connecting each boat to the next by rope. A motor boat then came and pulled us all, in one long line. The obscurity of the scene, coupled with the lush surroundings, a sunset-coloured sky, and the tales of our rayyes made it a most memorable ride. MOULID ABUL-HAGGAG: The moulid was unlike any I have attended in Cairo. During al-leila al-kebira, the area surrounding the Mosque of Abul-Haggag and all the roads leading to it are eccentrically decorated with lights that reflect the spirit of the festivities. Vendors from Luxor and neighbouring villages peddle their local halaweyyat al-moulid (the sweets of the celebration), tarateer (party hats), zamameer (whistles), balloons, fake golden bracelets, earrings and rings, food and soft drinks. Thousands of Upper Egyptians flock to the mosque to visit the sanctuary of Sheikh Abul-Haggag. A large area attached to the mosque is enclosed with a tent where munshids (cantors) perform religious songs, and Sufis partake in the zikr (remembrance). The night may be raucous, but the actual peak of the moulid comes the following morning, on the final day of celebration (al-dora). A camel with a tag bearing Abul-Haggag’s name kneels at the door of the mosque with a cord hobbling its feet. After Friday prayers, according to tradition, the imam, the highest religious authority of the mosque, cuts the cord binding the camel’s feet, allowing the majestic desert beast to rise, to the cheers of locals. It then starts to run through the densely-packed streets followed by a parade of thousands of celebrants singing and dancing, accompanied by camels adorned with colourful silk scarves. People cheer, laugh and chant with unwavering enthusiasm. All of this symbolising the beginning of Abul-Haggag’s journey to Luxor. The parade also had a nautical motif. A large boat — and sometimes three boats — are carried by donkey-driven carts resembling the solar barque processions of Pharaonic times where one of the gods was taken from his/her own temple to that of another in a boat. In Islamic symbolism the boat is often considered a vehicle for spiritual knowledge and thus the procession may well focus the attention of the populace upon the search for this. As the boats paraded by, crowds revelled in traditional entertainment. There are tahteeb (stick fights) to rhythmic music and horse races in which the horses are adorned with saddles knit of gold and silver threads. The clerk is insistent and we are too tired to argue. We pay, board and arrive home exhausted at 1am. Not quite the perfect ending to an otherwise spectacular trip, but certainly not enough to take away the joy of three days of bliss.